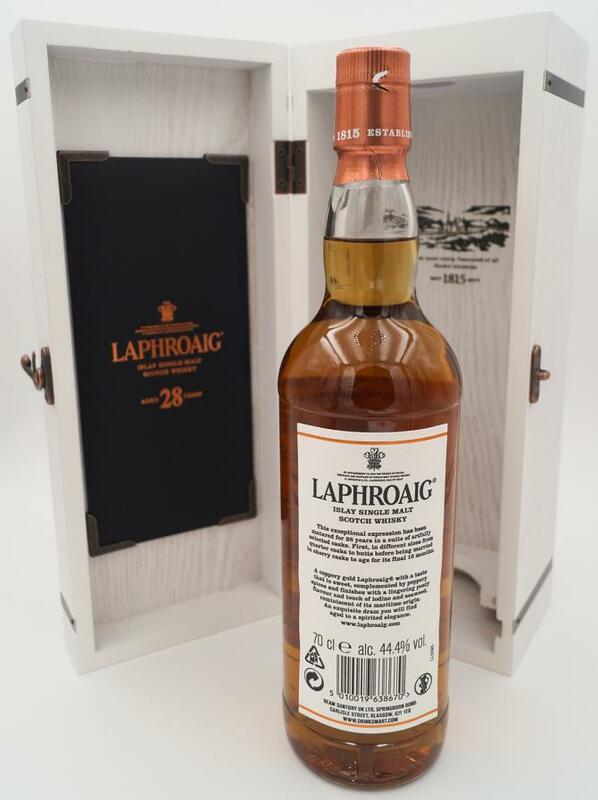 A very mature mature Laphroaig, which can score with its aromas in the nose and on the tongue. But of course, the comparison lags behind: even if I emptied nine 10 CS, I still have not had a 28-year-old Laphroaig in my glass. Meaning: one should not necessarily spoil the fun by over-peak price considerations or comparisons. The 28yo is great and a whisky that you can spend a lot of time with. A fine, but still well-recognizable smoky note, honeydew melon, pineapple, red apple and banana pieces. Wonderful combination at the beginning. 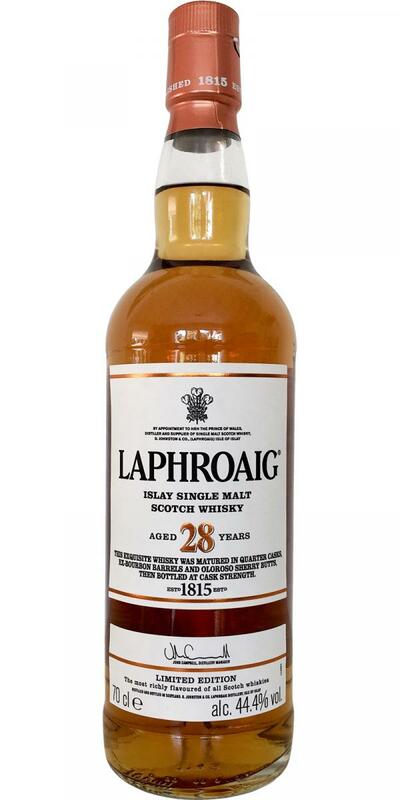 Age has honed the Laphroaig character in the best sense. What you like (or loathe) about the young bottlings: the warm tar, the phenolic exhalations, the hospital feeling, the salt and the seaweed - these flavors are at best hidden in the background and shimmer only here and there a bit and in a weakened form. But then he has a fruity depth, surrounded by mild peat smoke, accompanied by dark chocolate, mocha, cinnamon and honey. It pays off for a (short) break of strong whisky. With its 44.4% it glides gently and warmly on the tongue and now shows more smoke than in the nose. Directly dry oak, with honey, caramel, toffee, marzipan, dark chocolate and coffee beans - and more on the dark side of the flavors. Less fruity than in the nose. Over time, spices and herbs that are not to be defined become more abundant, and the tongue also takes on a little salt. The oak is not as dominant as you would expect. Medium to long, dry with oak, honey, gingerbread spices, nougat, marzipan bread and still with smoke. 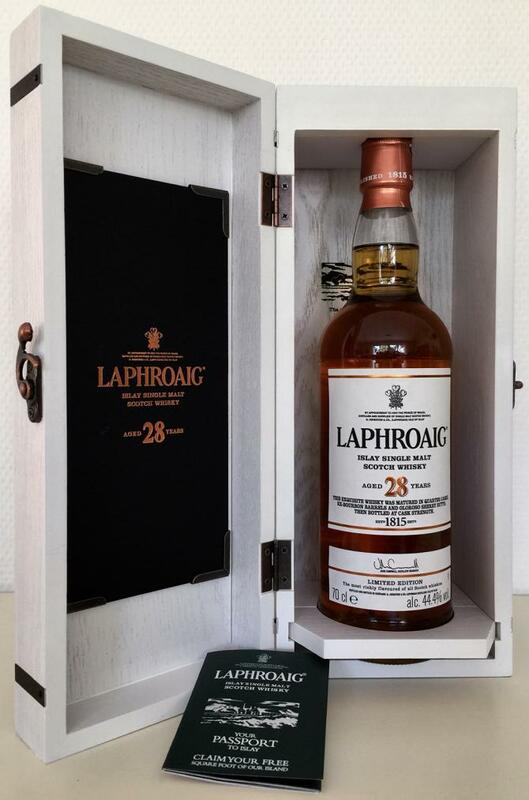 Lovely mixture of tropical fruits, reminiscent of Laproaig’s glorious past, and the usual medicinal smoke and associates toned down to a more comfortable level. Even a great old Laphi, on the whole only very dry, you have to stand on it, as if the majority of smoke had simply turned into dryness.